Looking to avoid an antitrust suit from the European Union, Apple and four publishers have offered concessions to retailers, including Amazon.com, that would allow them to sell e-books at a discounted rate for two years. Details of the offer were shared by an unnamed source with Reuters on Friday. Along with Apple, the offer is said to have been made by Simon & Schuster, HarperCollins, Hachette, and Macmillan. The details, if true, signal a change for Apple, which chose not to settle and resolve a similar investigation in the U.S. The U.S. Department of Justice filed an antitrust suit against Apple in April, accusing the iPad maker of price fixing and collusion with publishers including Hachette, HarperCollins, Macmillan and Penguin. Simon & Schuster, Hachette and HarperCollins did settle their cases with the Department of Justice to avoid the antitrust suit, though Apple did not. Now, Apple reportedly hopes its concessions, along with the four publishing partners, will ward off an antitrust investigation from the European Commission, which first announced its investigation in late 2011. Now, the Commission is said to be "sounding out opinions from the industry" to determine whether or not the concessions offered by Apple and others are sufficient. Also necessary for the investigation to be dropped is a "formal market test." Currently, the Commission is "market testing the commitments on an informal basis," Friday's report said, quoting an anonymous source. 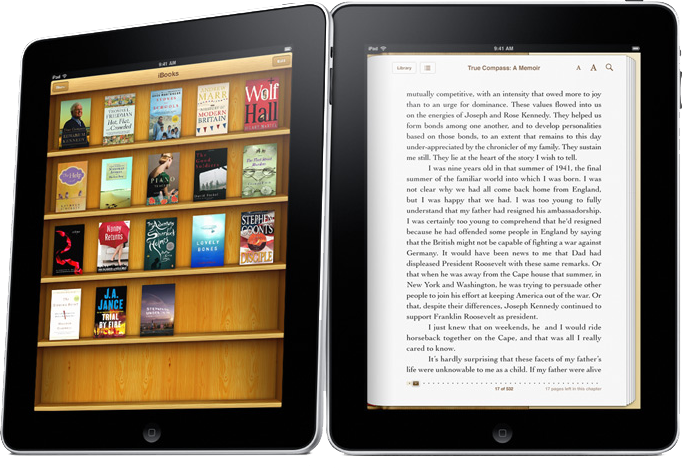 Apple and five major book publishers have been accused of colluding to inflate e-book prices through Apple's iBookstore, a move that allegedly helped take some market share away from industry leader Amazon. With the arrival of iBooks for the iPad, book publishers opted to switch to the "agency model," which allows publishers to set e-book prices as they see fit, barring distributors from pushing prices lower. Previously, e-books were sold by market leader Amazon under the "wholesale model," which allowed the online retailer to set their own prices. Amazon continually sold content at a discounted rate to drum up business, but publishers felt Amazon's prices were too low and hurt other businesses that also sell books. Publishers have expressed concern that reverting to the wholesale model would allow Amazon to sell e-books at below-cost prices, placing pressure on competing retailers. Apple, Barnes & Noble and other outlets would be forced to lower their prices to stay competitive, or exit the market altogether.